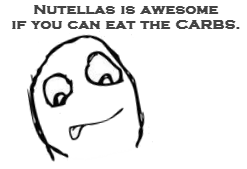 … and then I realized no-one who can eat carbs cares. So I accepted the challenge, to create something that tasted Nutella-like but had no sugar or starch and along the way discovered a better way to make lo-carb Ice cream. So this recipe will be essentially a full cream + egg yolk Ice Cream like our Easy Lo-Carb Ice Cream that almost anyone can make. We’ll flavour it with Raw Cacao powder, Hazelnut essence, vanilla essence and pure Sucralose (or Splenda). And into the ice cream we’ll sink some candied Hazelnuts to add a textural element. 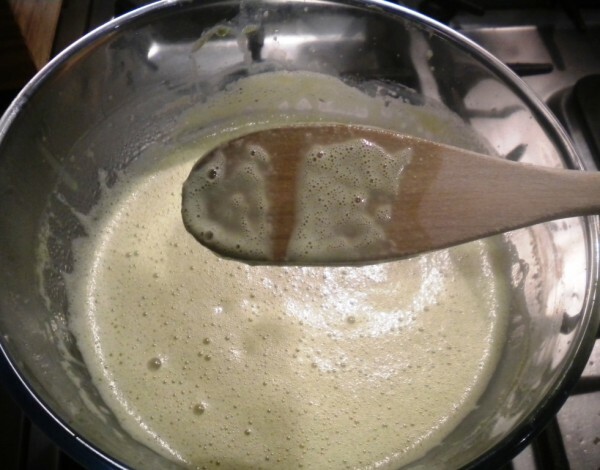 Traditionally when making an Anglaise sauce you would whisk the the egg yolks with the sugar (or substitute) until white and then add warm milk or in our case cream. 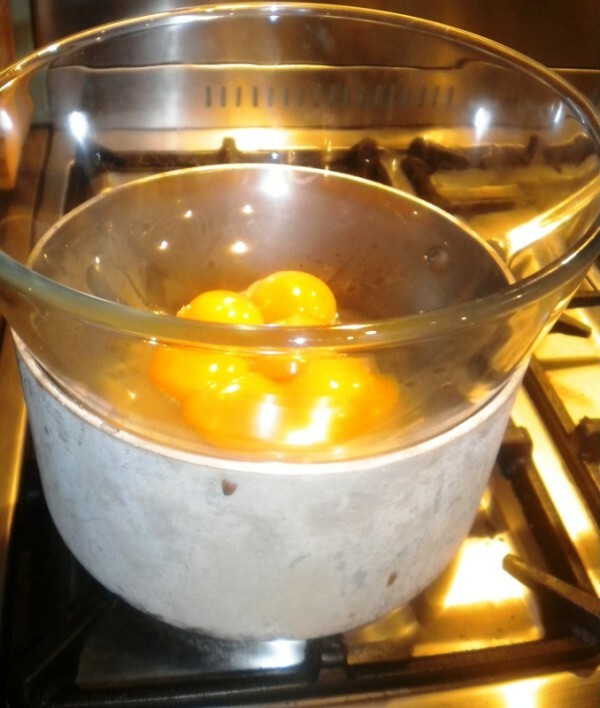 When making an ice cream I usually use a double broiler to slowly heat the yolks while whisking the sugar crystals in to make the process quicker. 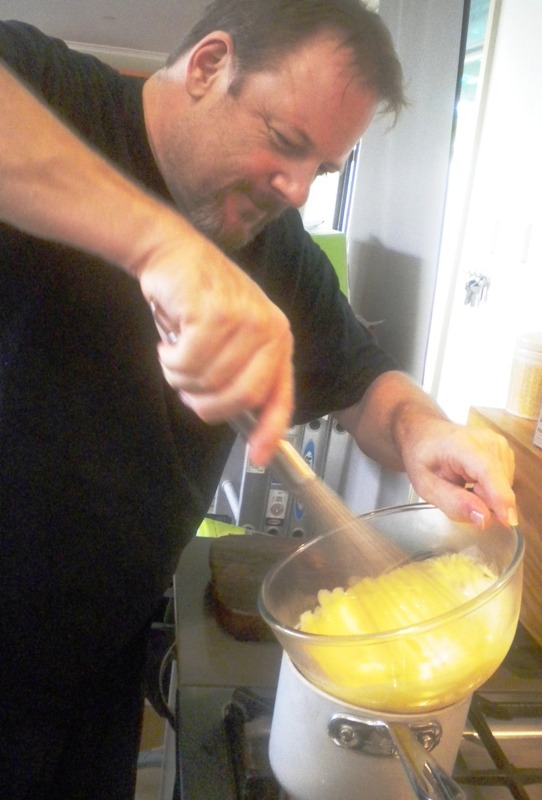 The goal is to emulsify the fat in the yolks with the sugar as the crystals melt. The problem is that we add all our flavorings in the pure cream and you can taste those but without the sweetness from the sugar you can’t really balance by taste. Here’s the thing tho – we’re not using sugar for its structural properties – only it’s sweetness. So my epiphany was to put everything but the eggs in a pot and get it to almost a simmer – then balance out all the flavors. Ewww chocolate skin on hot cream – I mean mmmmm chocolate skin. Meanwhile cook just the eggs in the double broiler while whisking to stop them scrambling, and spooning in just a tablespoon of the hot flavored cream, then whisk some more then another tablespoon, more whisking and then eventually all the flavored cream. 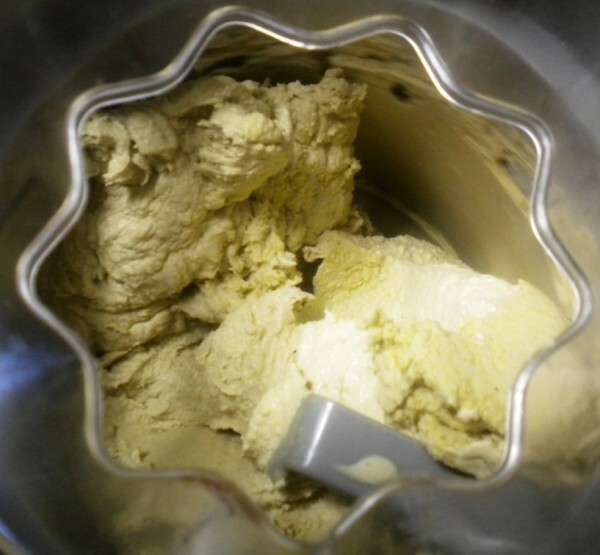 Then you chill the mix and put it into an Ice Cream maker as usual before turning the mixture into a form to set in the freezer. The other thing I recently discovered was the perfect mould for making ice cream in portions. 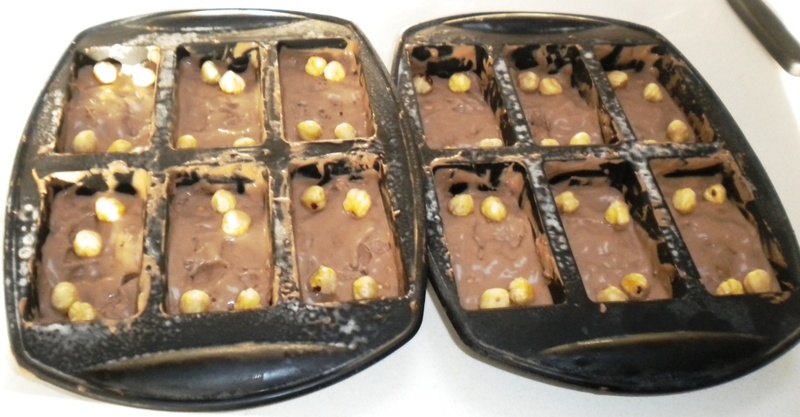 It’s a Silicone baking mould but it’s perfect for deforming frozen items and a de-moulded block is almost exactly 100g which is exactly 2 servings. Yes I know that 50g isn’t a lot of Ice Cream, but it is made with pure cream and yolks so it is so full of fat that it’s quite satiating. 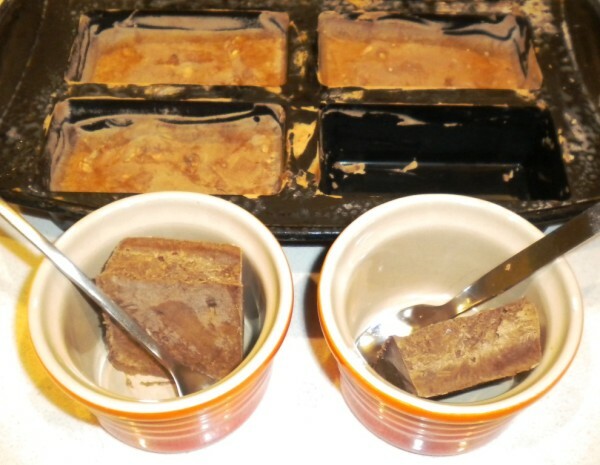 Of course it helps to have crazy little spoons – these ones are I think actually known as Marrow bone spoons, but any small spoon is a great thing for eating such a rich Ice cream. 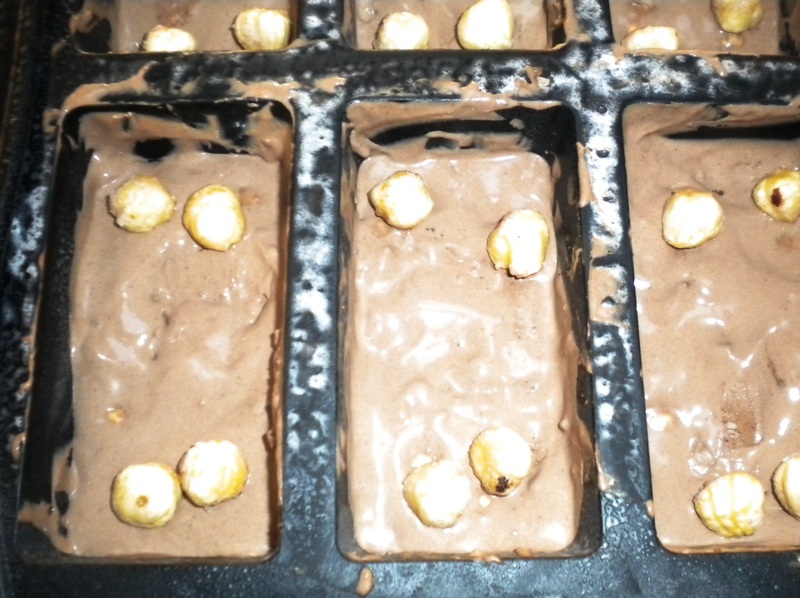 Finally to give the dish a little texture I submerge candied Hazelnuts into the blocks before freezing. You can make Candied Hazelnuts by simply melting 1 Tablespoon of Erythritol and Stevia crystals in a pan, and tossing 125 g of Hazelnuts in the pan to coat them, then taking the pan off the heat while regularly agitating the pan to stop the nuts sticking to each other. After you have distributed the ice cream from the Ice Cream maker into your moulds, just put an equal number of the candied nuts on each and press them into the mix, then tap the entire mould for the hole the nuts sunk into to fill over. Cook Sugar-Free Crystals in a shallow pan until melted, add Hazelnuts and toss to coat. 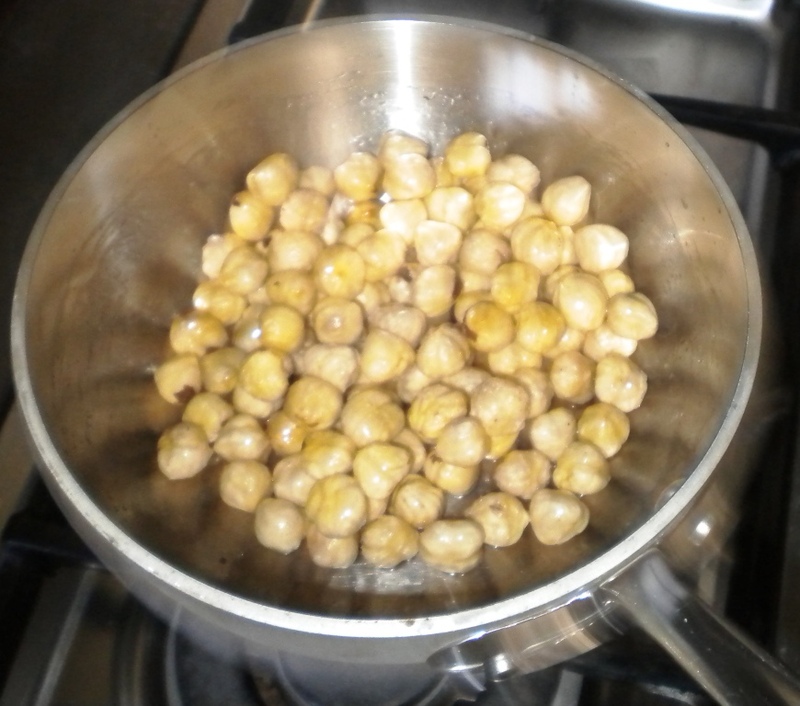 Take the pan off the heat while regularly tossing to prevent nuts sticking to each other. 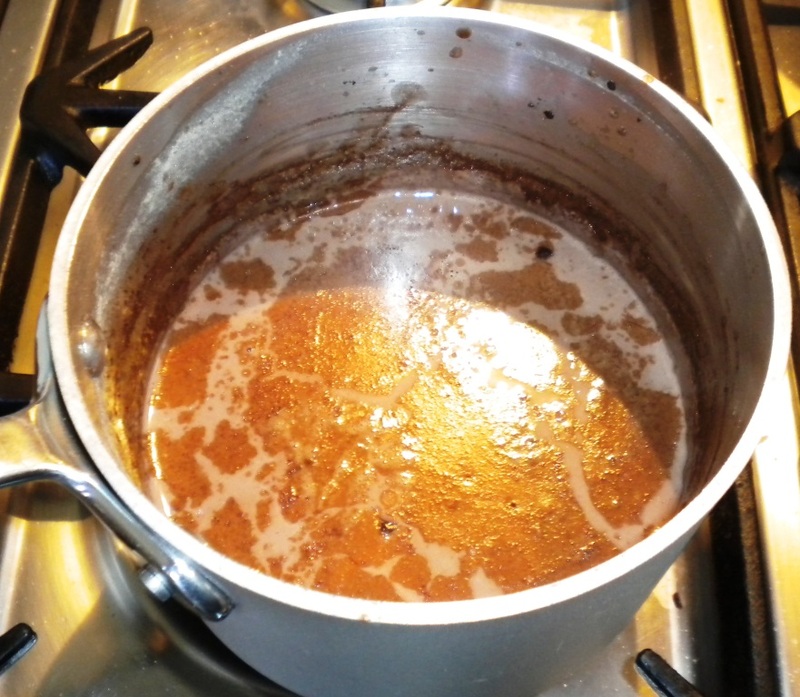 Mix the Cream and Cocoa in a pot and heat until almost simmering, then take it off the heat. Add Sweetener and flavors, and taste to balance the flavor. Cook the yolks on a double broiler while whisking until ribbony, then gradually add a spoon at a time of the hot cream mixture while whisking. 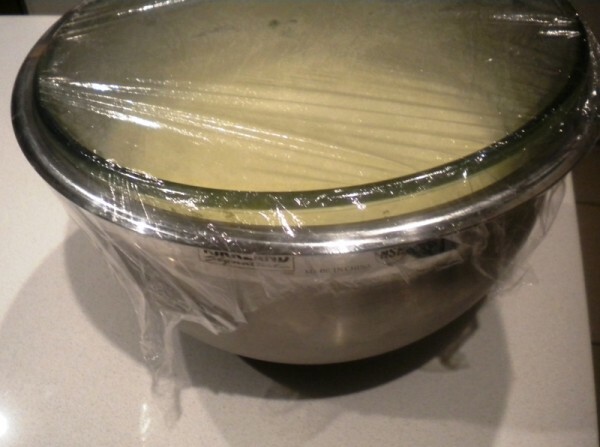 Cool the Anglaise in the fridge, under some cling wrap. I use an ice bath to get it cold quickly. 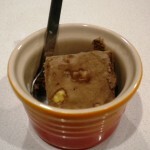 Portion the Ice cream into moulds, and submerge candied Hazelnuts.